10) Tim DeChristopher Sentenced — What’s Next for the Environmental Movement? I created this list according to the number of views each article on this website received. I think some of the stories are more significant than others, but the order really isn’t important. More important are the trends they reflect. The first trend is an increasingly aggressive campaign led by corporations against those who effectively threaten profits. I have been writing this blog since 2006, when the Animal Enterprise Terrorism Act was being debated. If you had told me then that there would be a campaign in multiple states to criminalize undercover investigations, or that environmentalist Tim DeChristopher would receive two years in prison for civil disobedience, I wouldn’t have believed you. On top of that, the hubris of corporations and politicians is also being codified into law in new ways, such as the National Defense Authorization Act, and these tactics are spreading to other countries. When you stack things up that way, it’s pretty grim. But that’s only half of the story. As Tim DeChristopher was being sentenced to prison for non-violent civil disobedience, activists around the country didn’t cower in fear. Thousands protested the creation of the Keystone XL pipeline, and hundreds were arrested saying, “now it’s our turn.” And as new FBI documents reveal that the government has considered terrorism prosecutions against non-violent undercover investigators, activists have hit back with a lawsuit calling the Animal Enterprise Terrorism Act unconstitutional. In other words, the second trend is that resistance is growing. What’s in store for 2012? 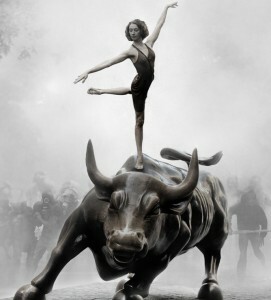 The Occupy Wall Street movement has gone from a few dozen tents to a national movement in about 100 days. As more and more people recognize that they are part of the “99 percent,” and act accordingly, Occupy will undoubtedly attract a proportionate backlash from same “one percent” who have targeted animal rights and environmental activists for decades. There are significant challenges ahead for all of us. It’s hard to know what is the best way to take action, or how we should proceed. But I think Woody Guthrie was on to something with his New Year’s resolution list from 1942. Did you miss some of these stories this year? Be sure to sign up for the free email newsletter. You can also follow Green Is the New Red on Facebook and Twitter.